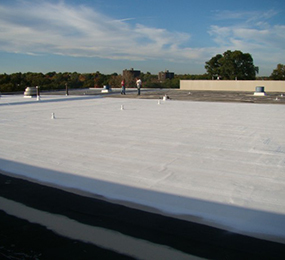 EPDM or rubber roofs are known for their robust qualities—but like any type of roof, a rubber roof will eventually develop issues. To address any roofing problems you’re experiencing, rubber roof coatings may be the right solution. 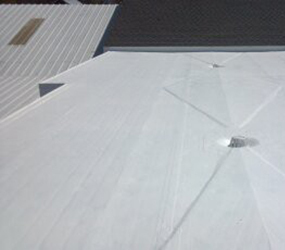 A roof coating is significantly less expensive than a full roof tear-off and replacement, and it restores your roof to like-new condition and fixes all of your roof’s problems, such as leaking. Give E&E Construction a call today at (740) 331-0695 to learn more about rubber roof coatings and to find out if a rubber roof coating is a good option for your commercial roof! To Coat, or Not to Coat? A commercial roof is a huge investment—so why replace your roof if you don’t have to? Give E&E Construction a call today, (740) 331-0695, to find out if a rubber roof coating is a viable option for your commercial roof. Clean roof thoroughly and allow to fully dry. Set up routine maintenance plan to fully extend the life of your roofing asset. 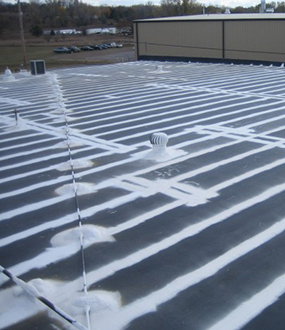 Because the process of applying a rubber roof coating is a simple one, having a coating system installed is only minimally disruptive to your business operations—another benefit over a full roof tear-off and replacement, which is very disruptive and time-consuming. While a simple process, roof coating application requires expertise and precision, which is why it’s important to only engage the services of a trained and licensed contractor, like E&E Construction. For all of your roofing needs, including rubber roof coatings, you can count on the team at E&E Construction. Our technicians are professionally trained to do each job expertly and efficiently. Give us a call today at (740) 331-0695!